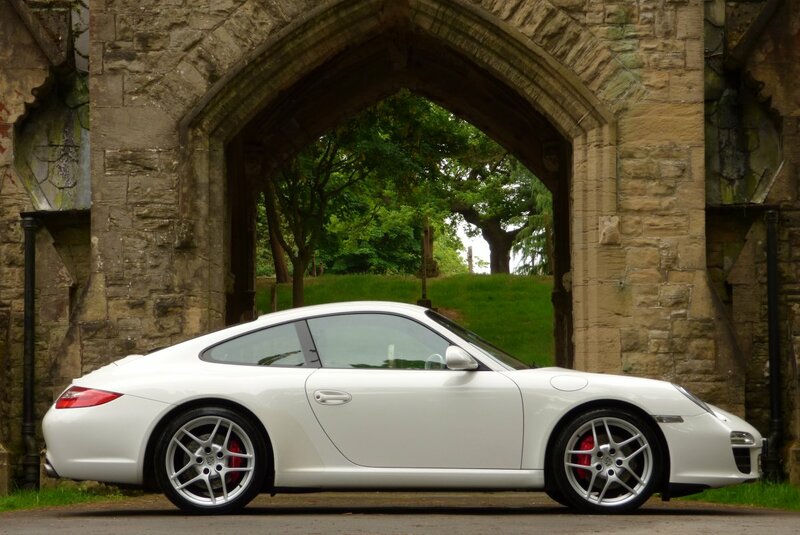 The Porsche 997 Was The Replacement For The Earlier 996 Model, With Production Starting In 2004. 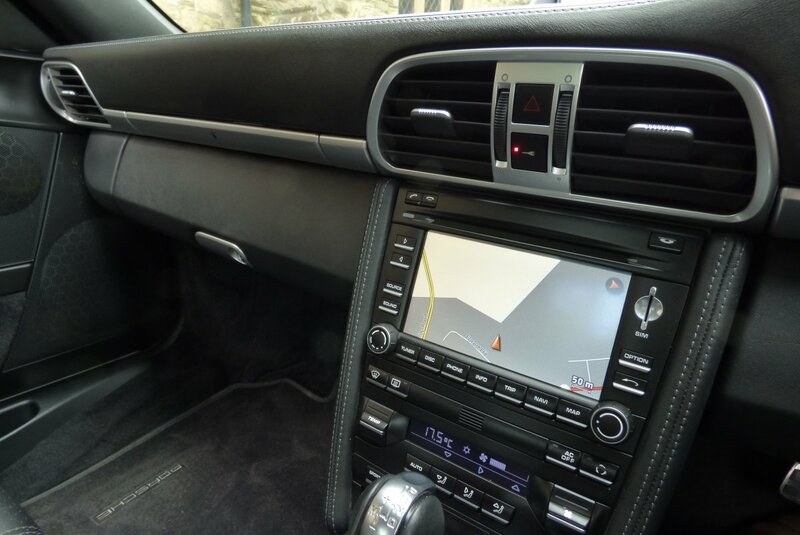 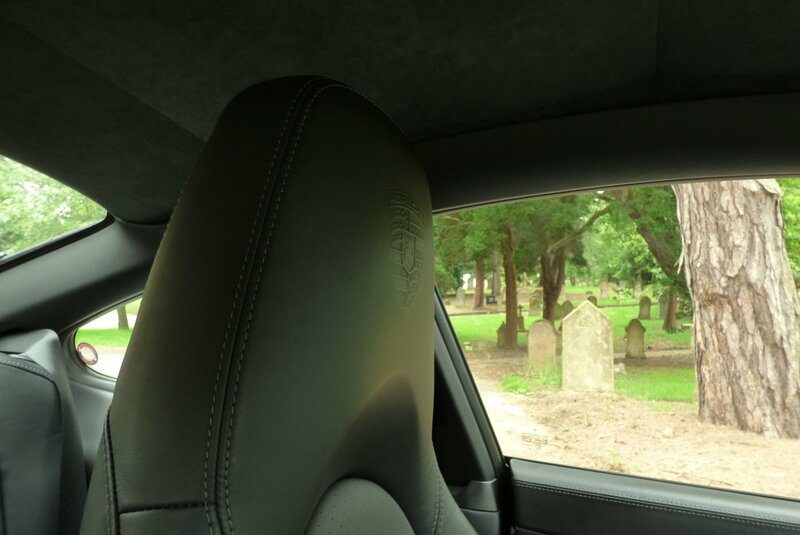 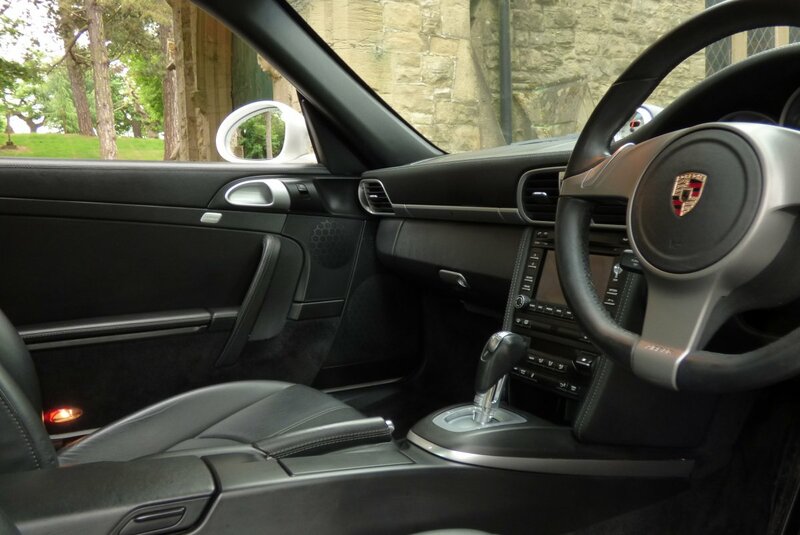 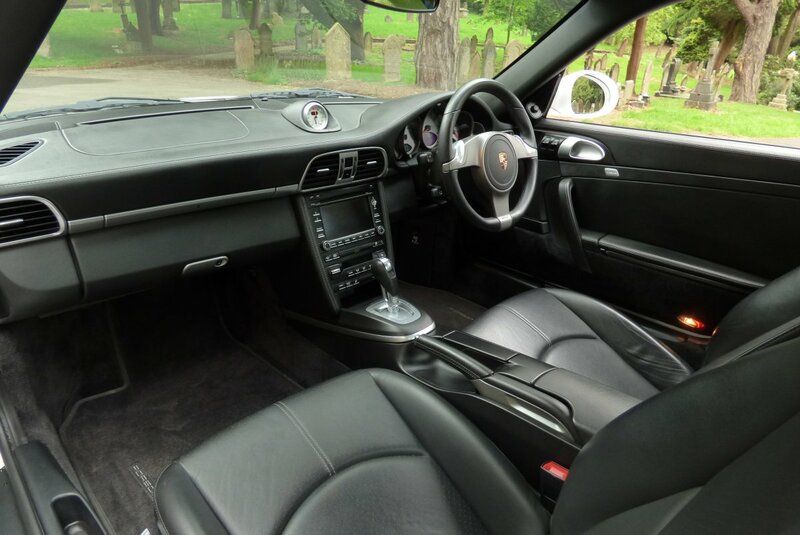 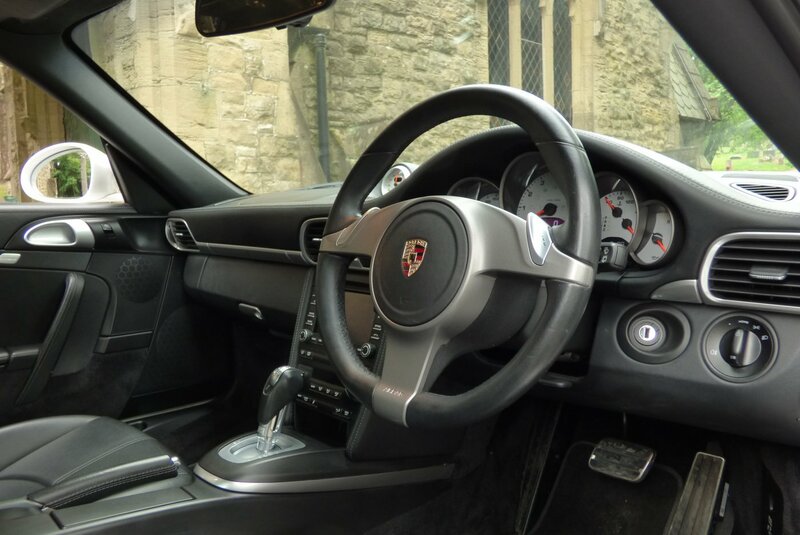 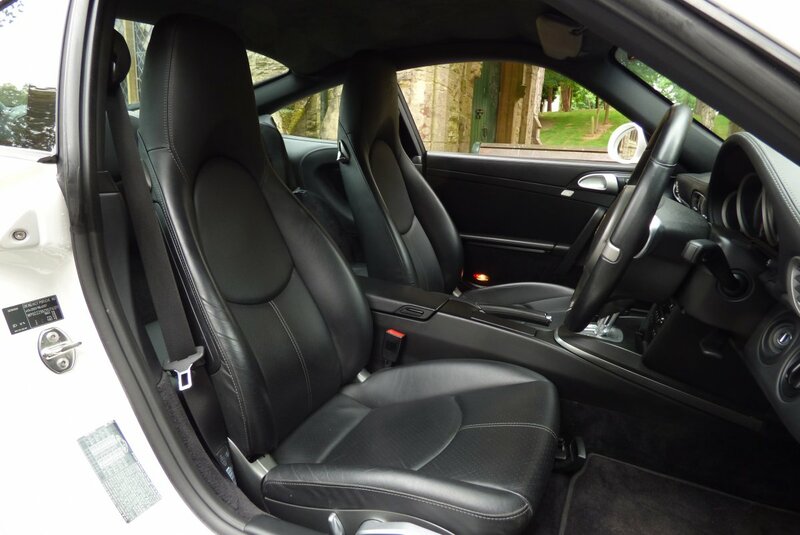 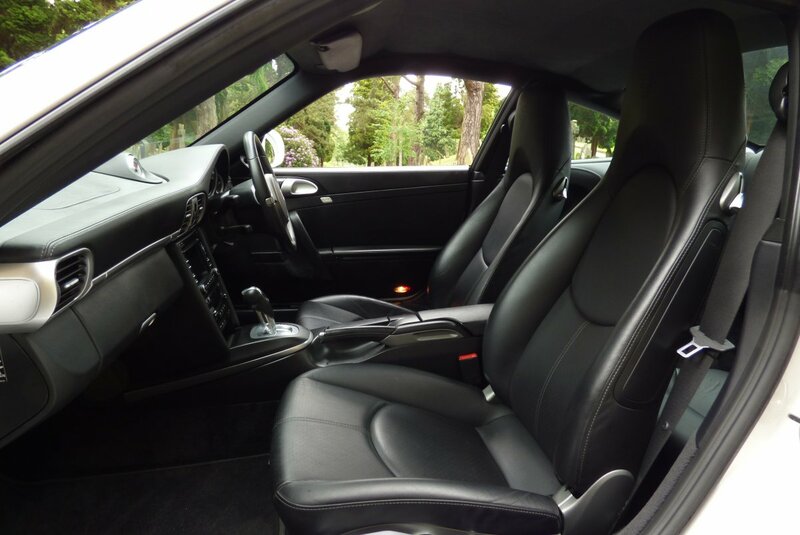 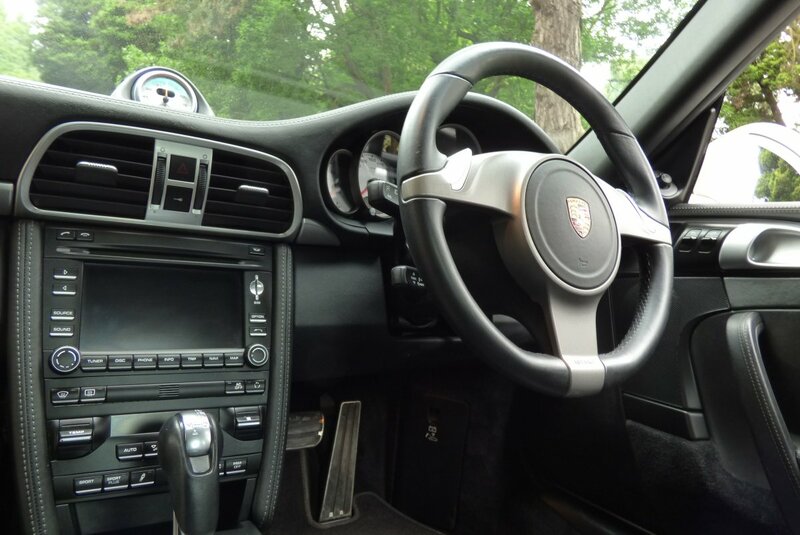 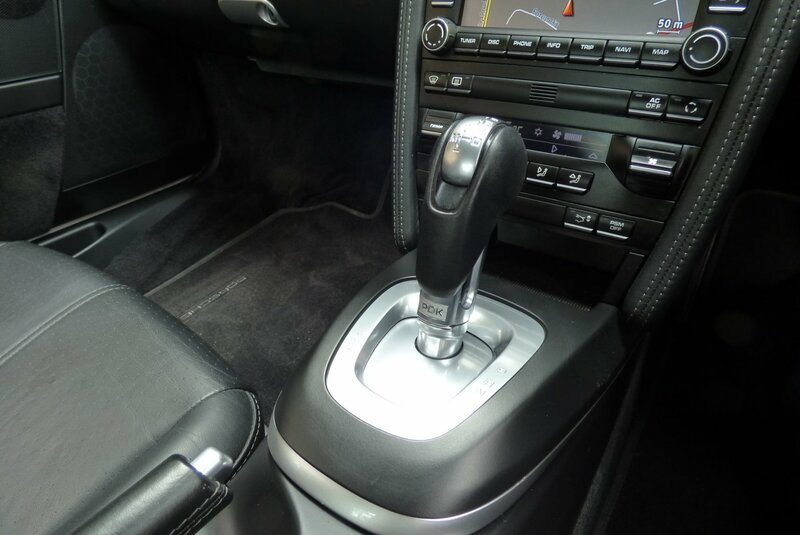 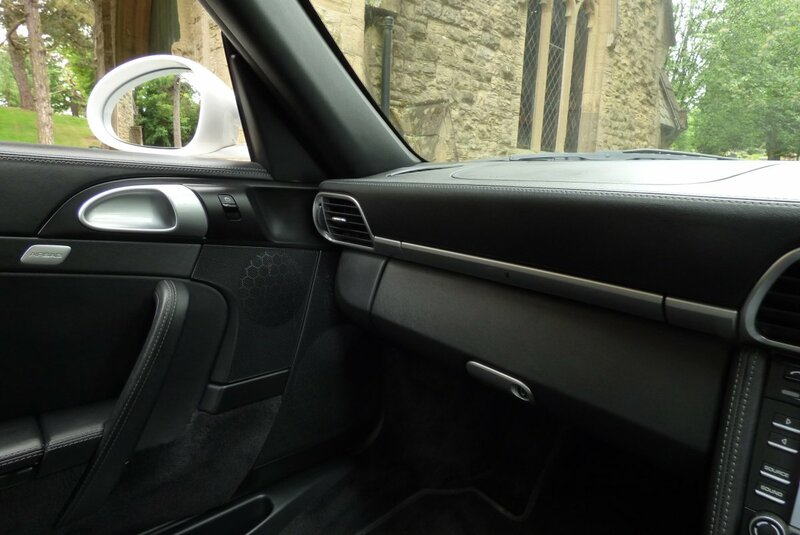 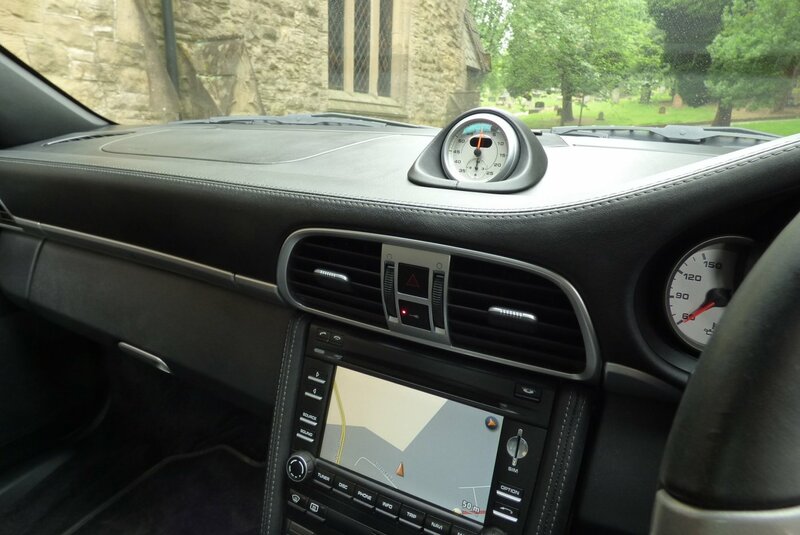 This Car Was To Offer Excellent Performance And Sharp Handling, But Also Maximum Comfort, In A Practical Space For The Ever Changing 911 Buyer. 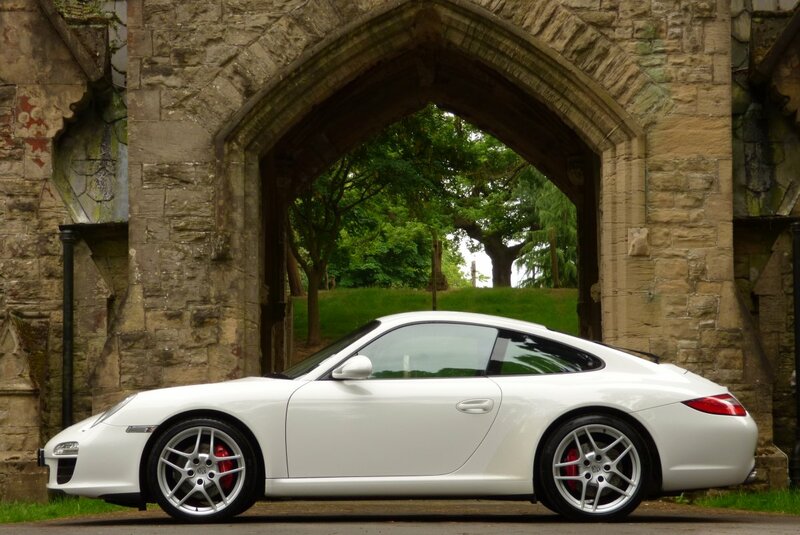 This Next Generation From Porsche Offered A Return To The More Traditional 911 Styling Compared To The 996, With Rounded Headlights That Harked Back To The Glorious 993 Models, With The New Flat Six Engines Offering Stunning Reliability And Staggering Performance. 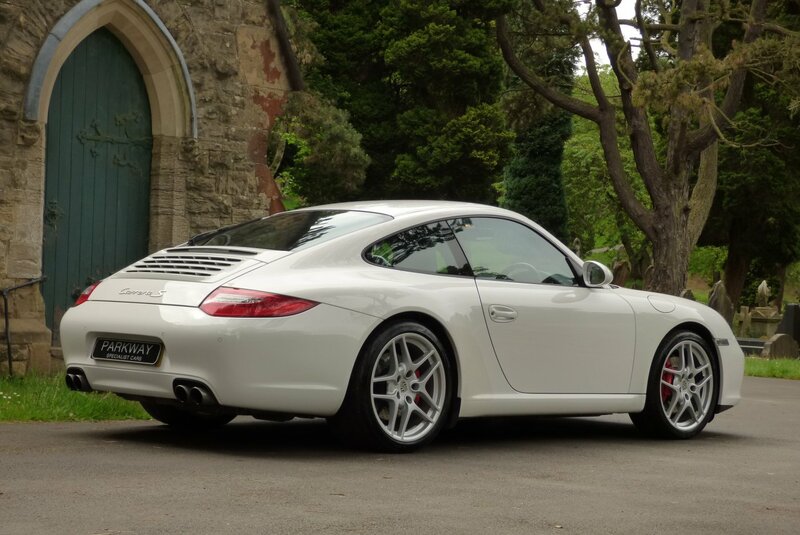 The Generation II Was Introduced In 2008 With Revised Built Options To Include A New 3.8 Engine With Direct Fuel Injection, Revised Suspension, Revised Front Bumper With Larger Air Intakes And The New Desirable PDK Automatic Transmission. 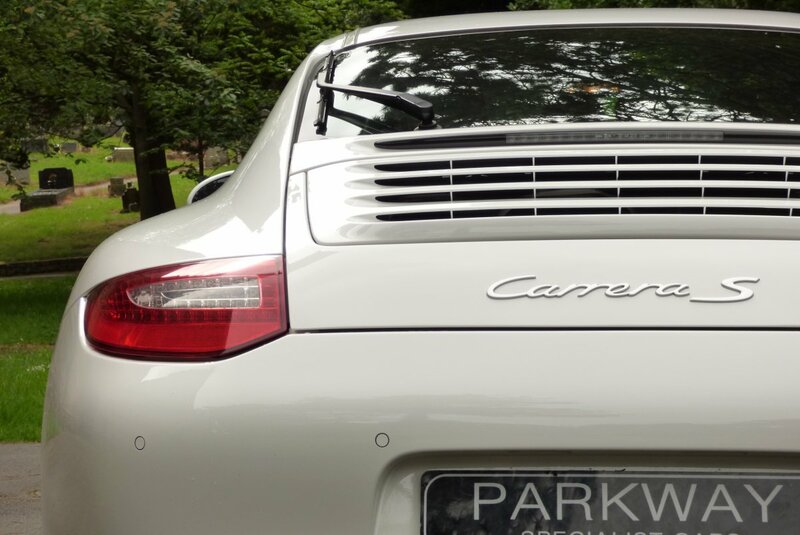 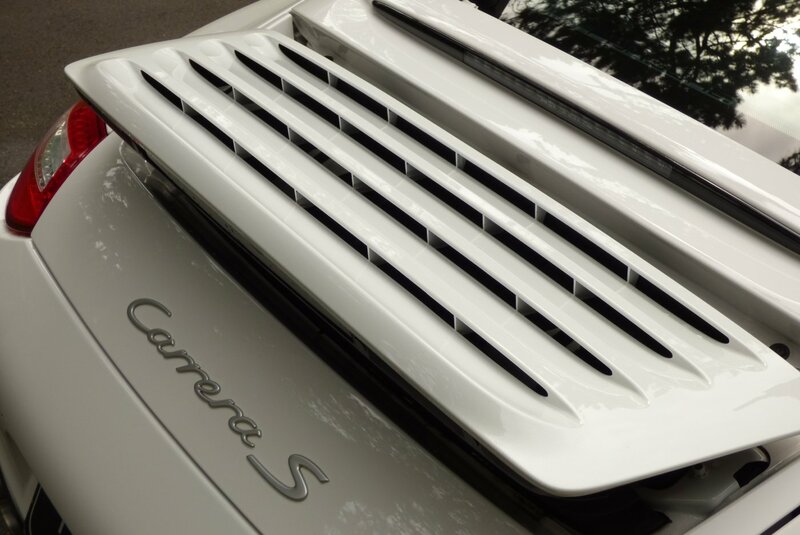 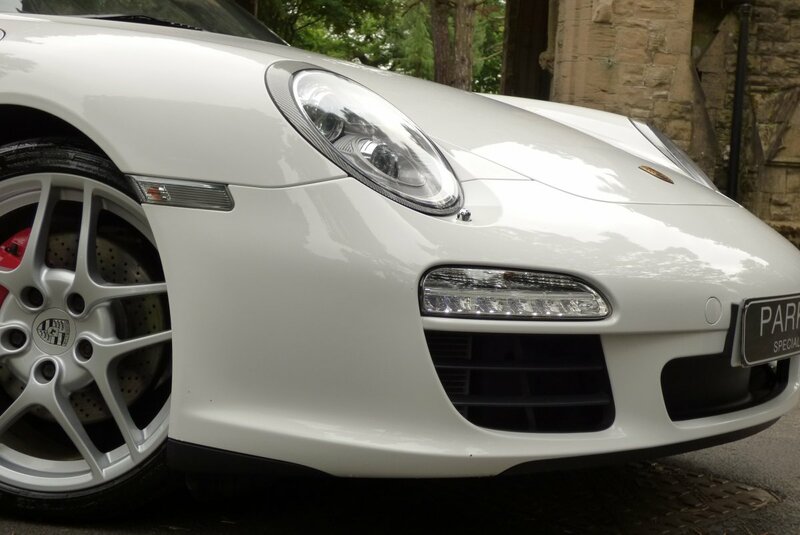 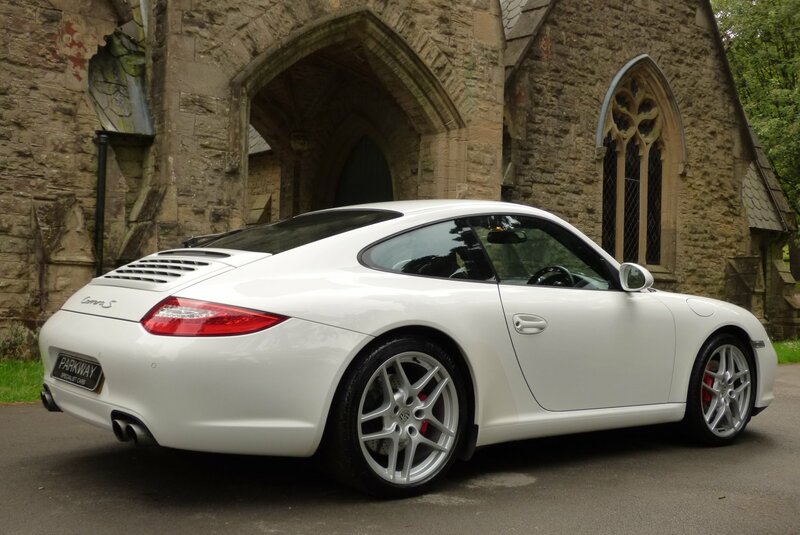 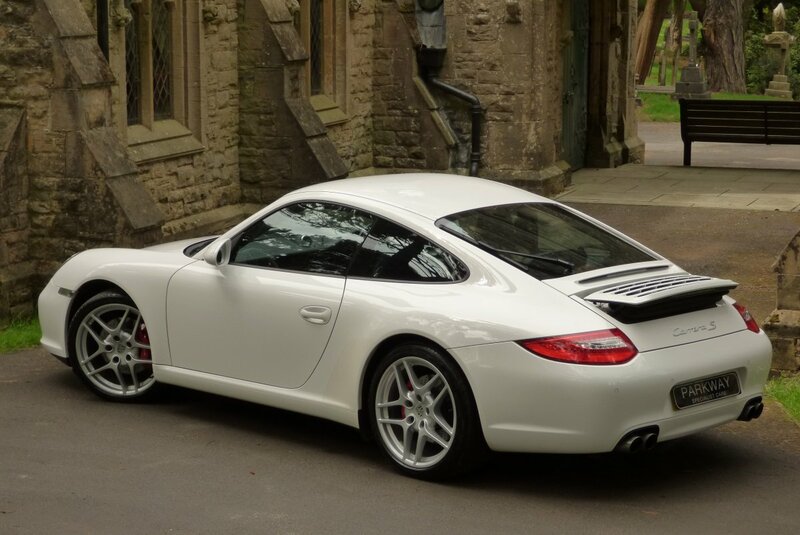 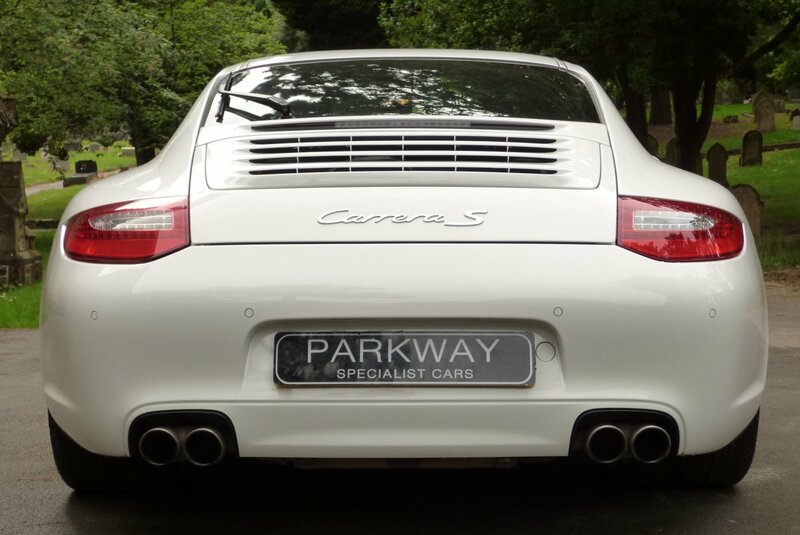 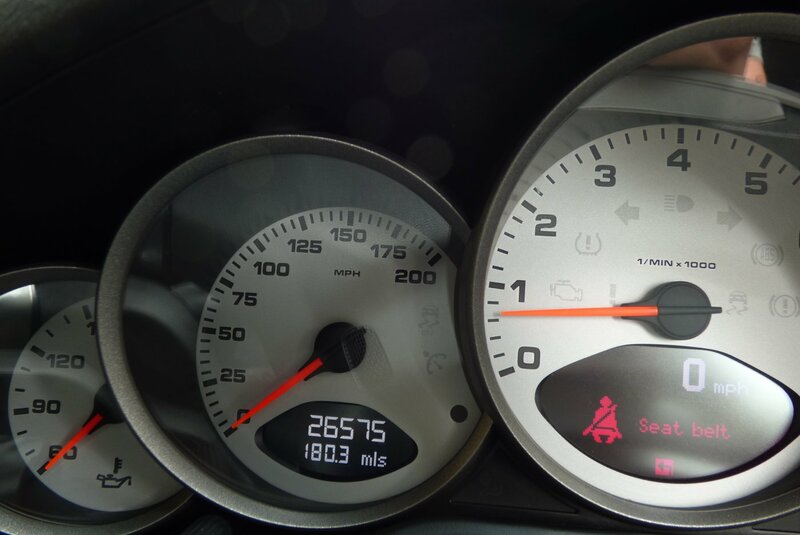 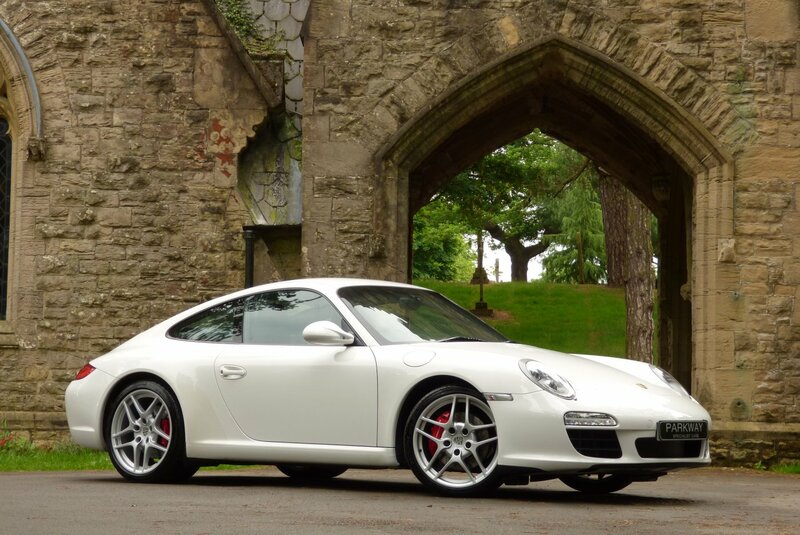 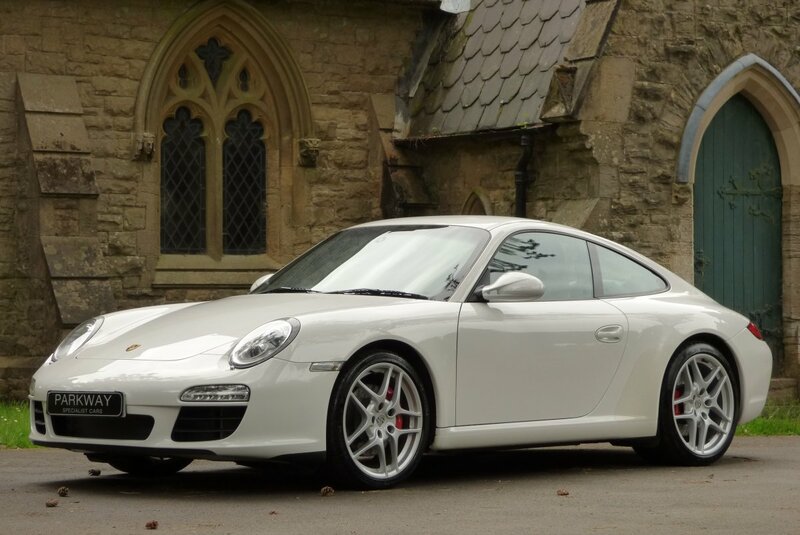 The Carrera S Model Also Benefited From Having An Extra 40 BHP Over The Standard Carrera, Giving A Healthy 385 BHP, Which Would Accelerate From 0-62 In 4.5 Seconds And A Staggering Top Speed Of 188 MPH. 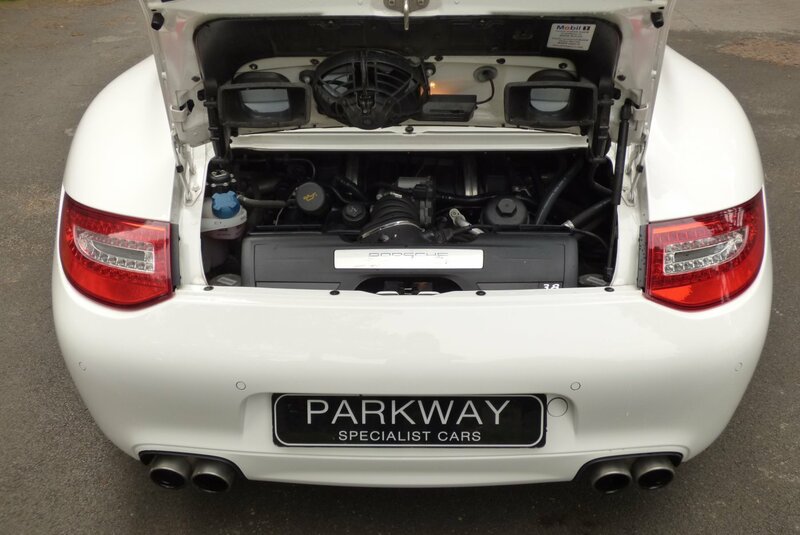 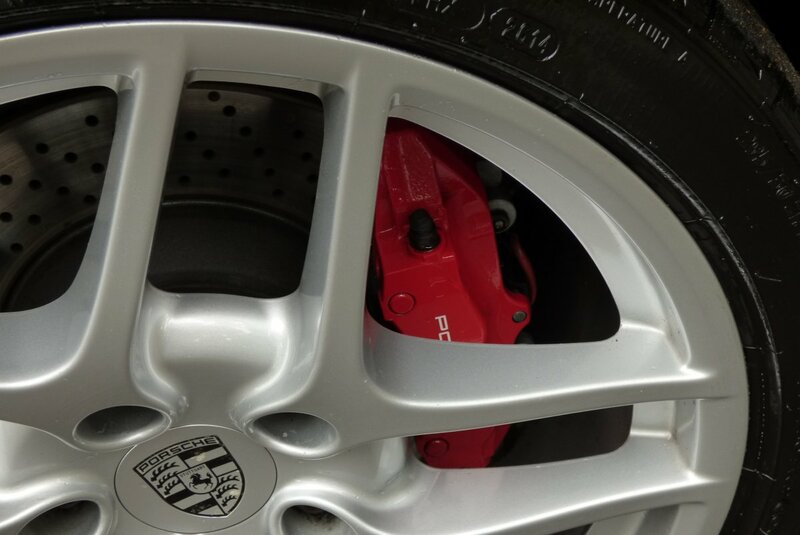 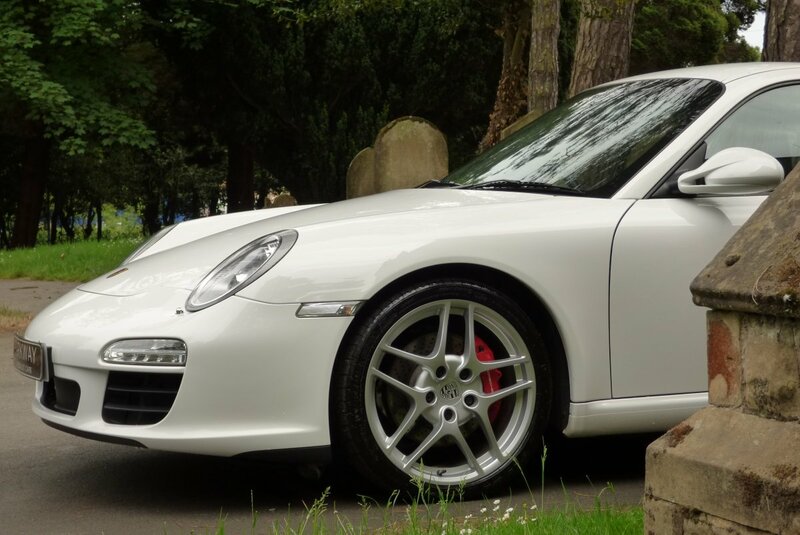 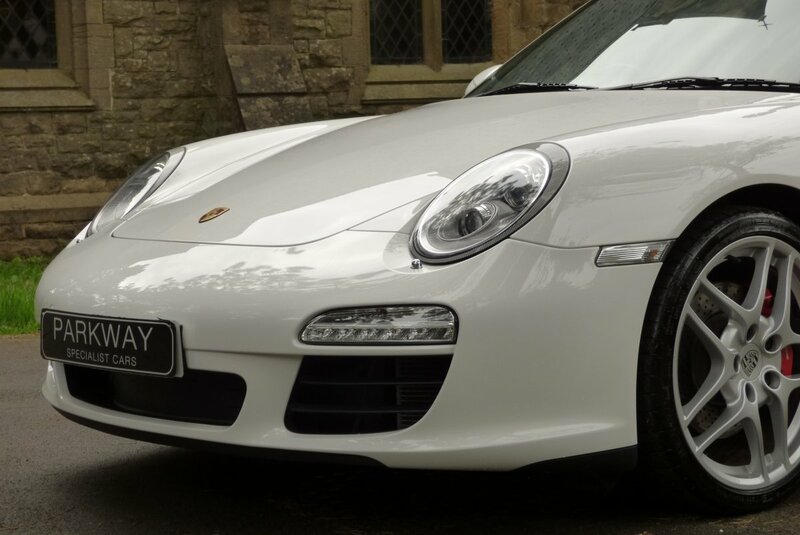 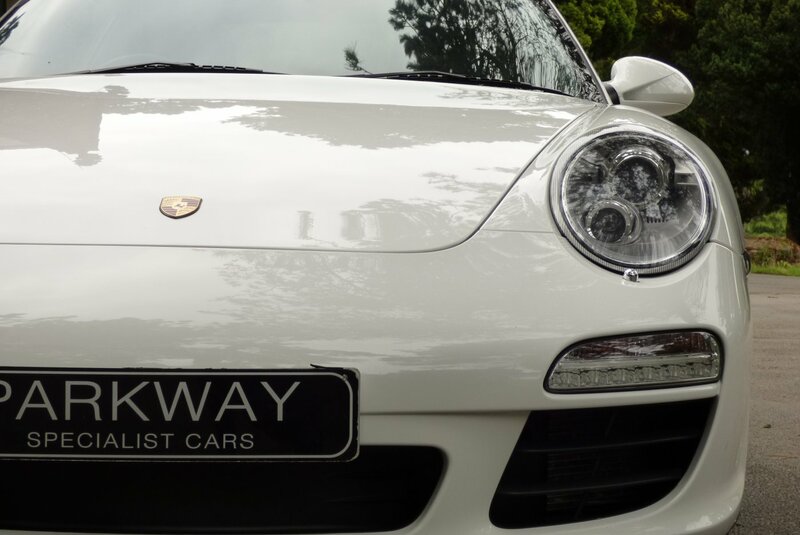 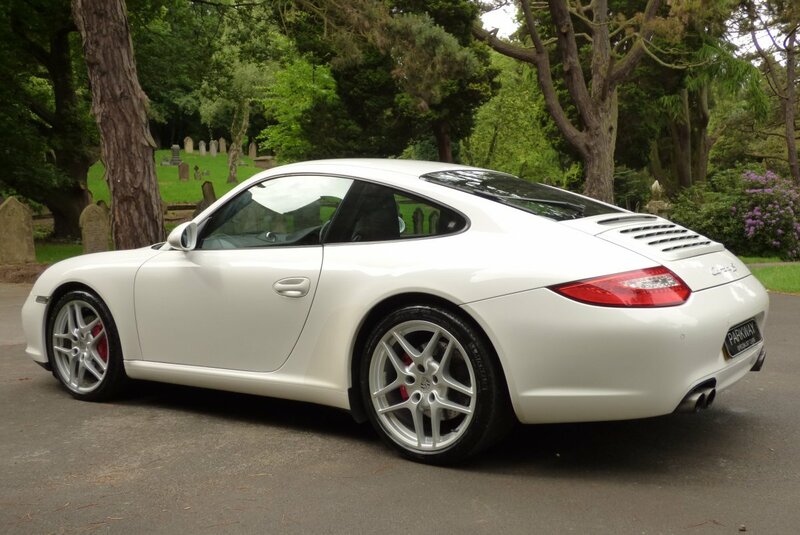 This Perfect One Private Keeper Car Also Boasts An Excellent Past Porsche Service Inventory With Visits Logged At 12876, 17182 & 21717 Miles, With The Last Being A Major Service To Include A Full Spark Plug Replacement.  The Car Also Offers The Entire Booklet Pack Set, The Entire Key Set, A Full Factory Build Card And A Fully Cleared Hpi Certificate For The Next Lucky Keeper. 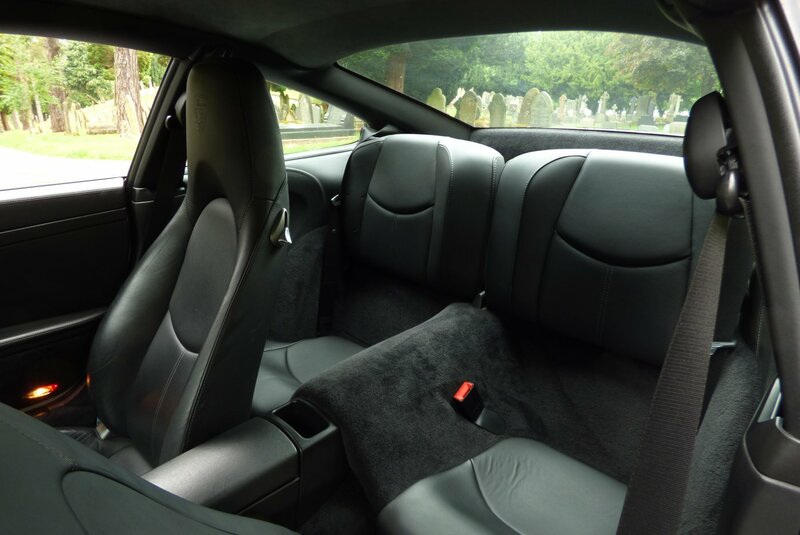 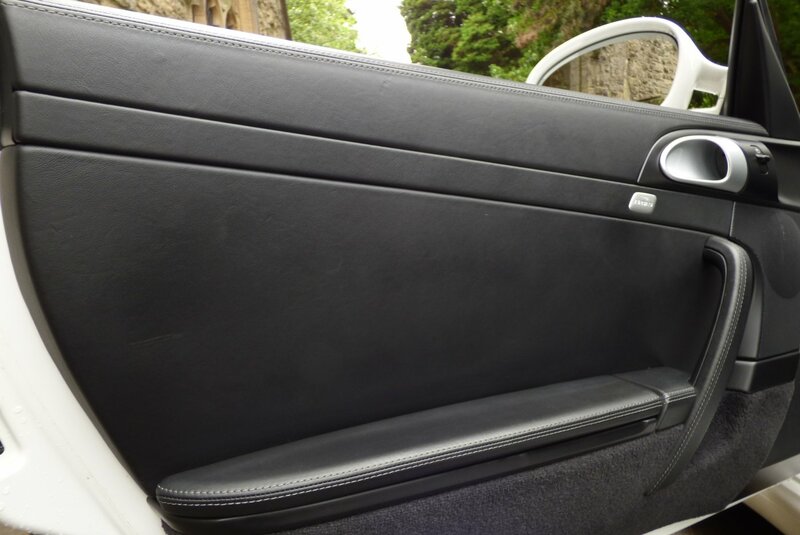 The Interior Is A Fusion Of Both Excitement And Comfort, With This Lovely Example Presented With Crested Black Leather Seating Delicately Detailed With Dark Grey Twin Needle Stitch Work, Black Suede Roof Lining, Black Seat Belts, A Black Leather Dash That Wraps Around The Exciting Cabin And Beautifully Finished With Aluminium Look Internal Detailing. 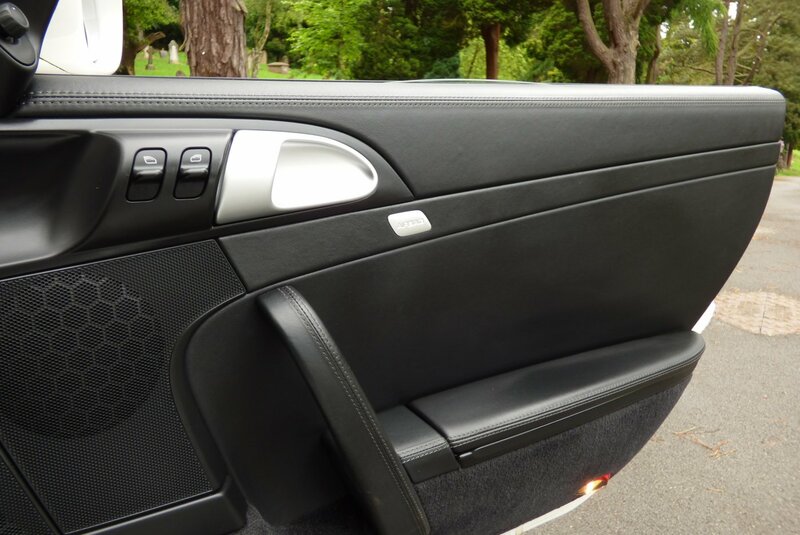 Maximum Comfort With World Class Technology, Makes This A Very Place To Be For The Driver And Passenger To Enjoy. 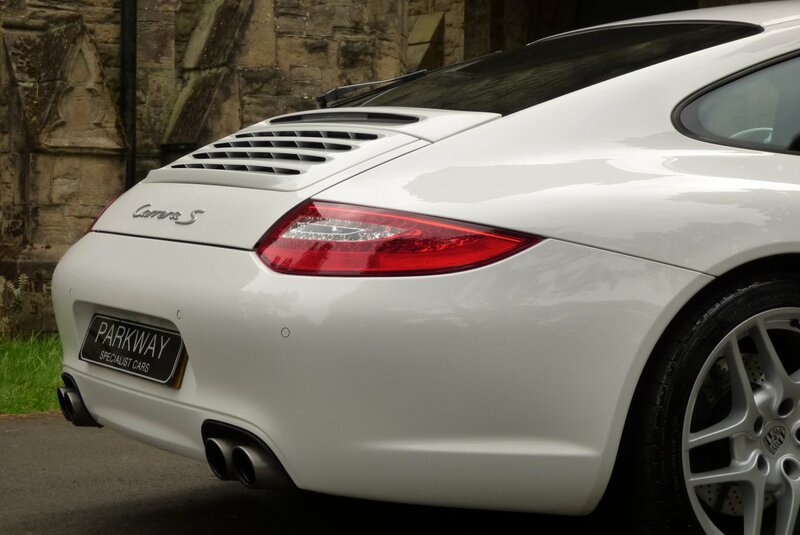 The Signature Styling Of The 997 Is Embodied In The Beautiful And Desirable Finish Of The Carrera White Which Showcases The Distinctive Body Lines And Curves Off Perfectly. 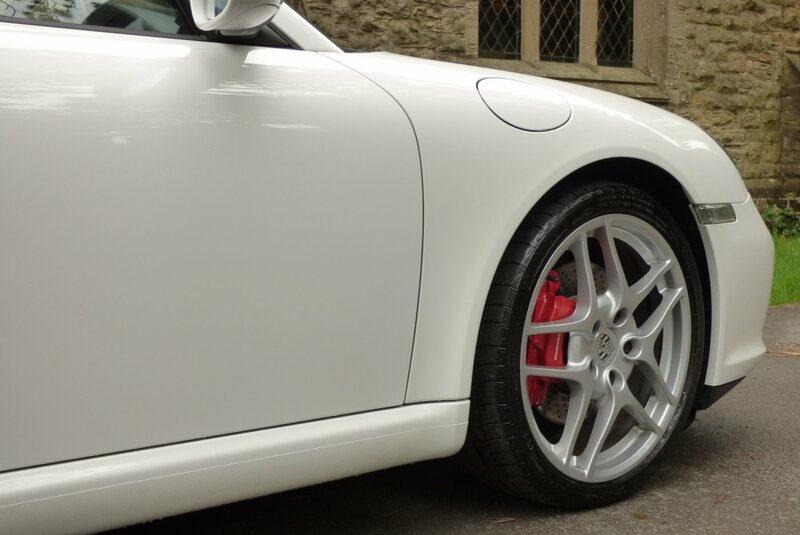 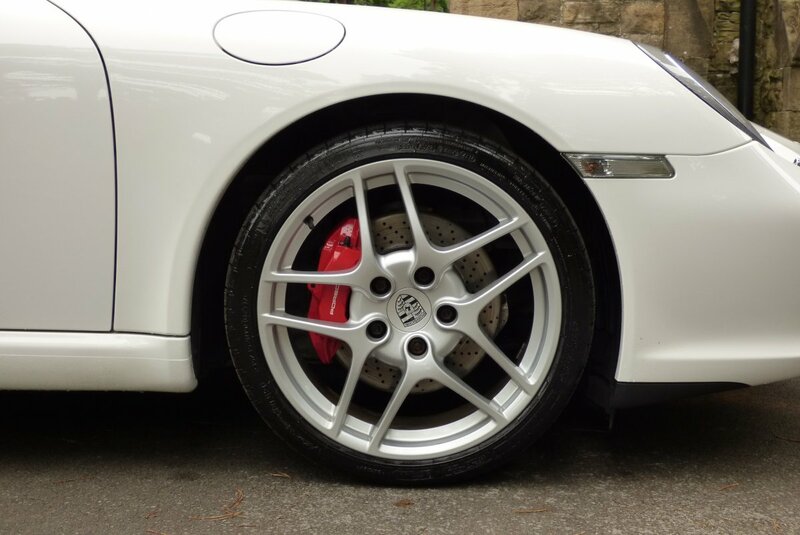 Further Exterior Enhancements Come In The Form Of The 19" Carrera II Five Double Spoke Alloy Wheels, The Porsche Embossed Red Brake Calipers, The Electrically Operated Rear Boot Lid Spoiler And The Signature Carrera S Chromed Boot Badge. 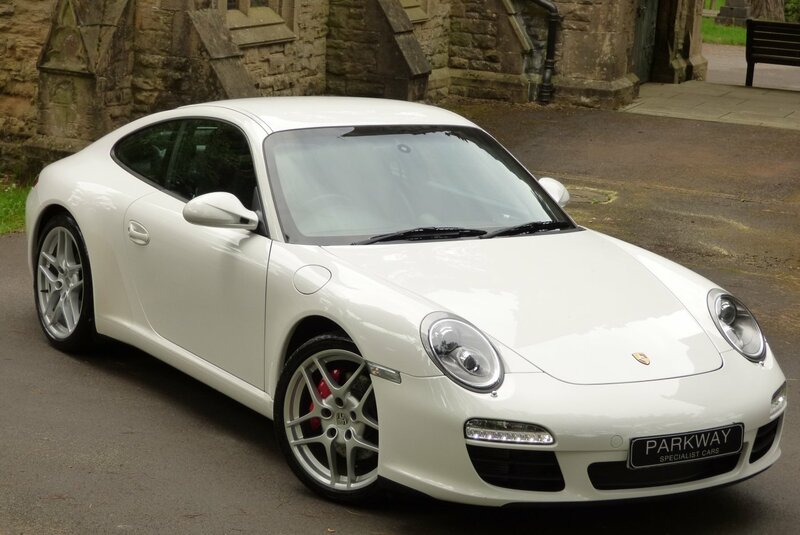 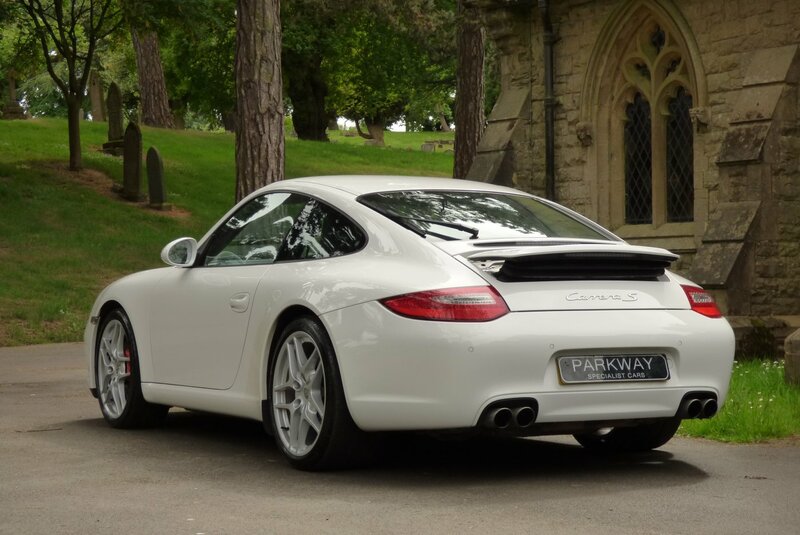 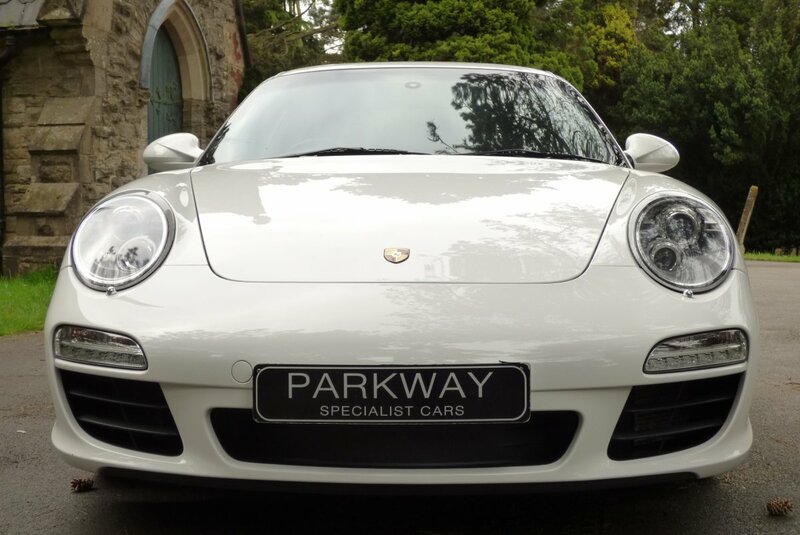 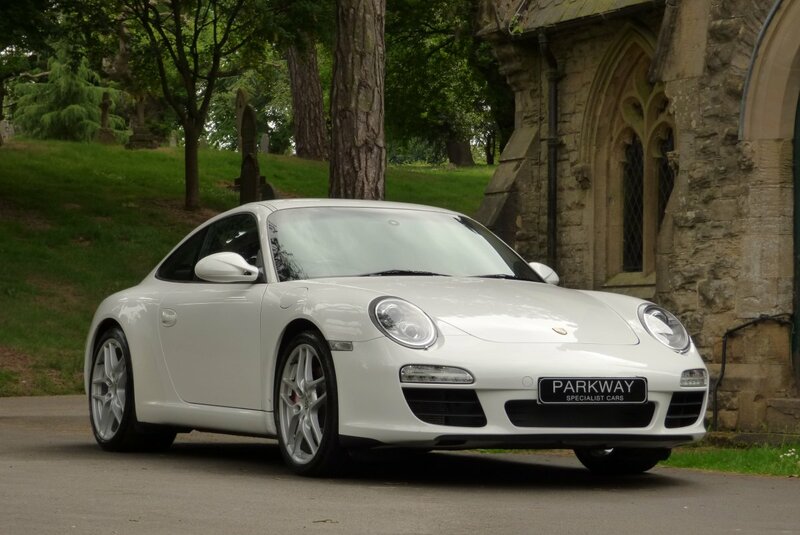 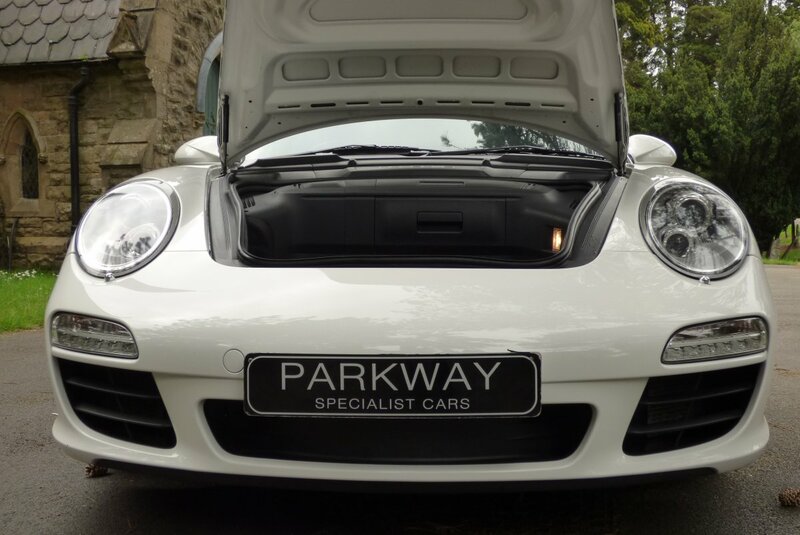 This Excellent One Private Keeper Car Has Options To Include PDK Transmission, Rear Wash Wipe, Windscreen With Top Tint, Xenon Headlight With Power Wash Function & Dynamic Cornering System, Rear Distance Park Control, Sports Chrono Package Plus, PCM3 Full Colour Screen With Satellite Navigation System And Phone Preparation, 19" Carrera II Five Arm Alloy Wheels Which All Sit On Branded Tyres, Embossed Red Brake Calipers, Sport & Sport Plus Modes, Chromed Quad Exhaust System, Porsche Trip Computer, Dual Zone Climate Control, Porsche Steel Pedal Set, Embossed Aluminium Internal Kick Plates, Black Leather & Aluminium Look Three Spoke Steering Wheel, Universal Media Interface, Electric Windows & Mirrors, Remote Central Locking With Alarm, PASM Electric Damper Control, Porsche Ask Sound Package, Porsche Stability Management System, Daytime Running Lights And So Much More. 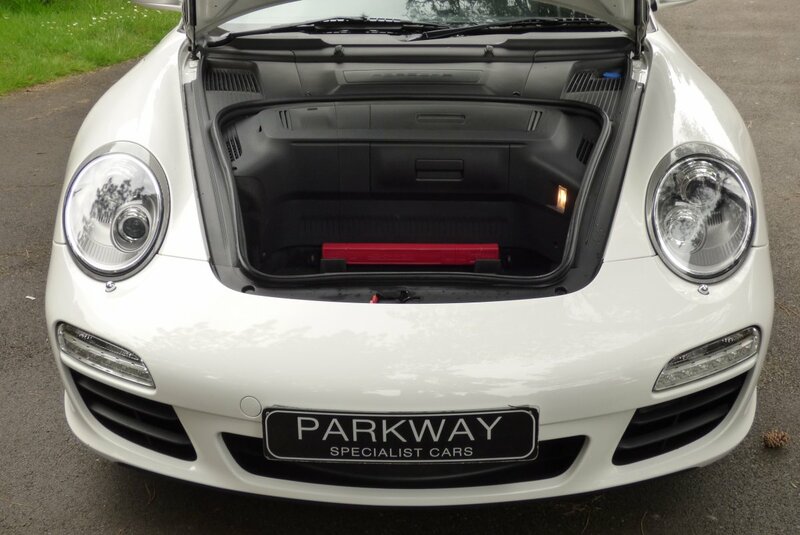 A Full Key Set, The Full Booklet Pack Set And A Fully Hpi Cleared Certificate Will Be Offered To The Next Lucky Keeper..